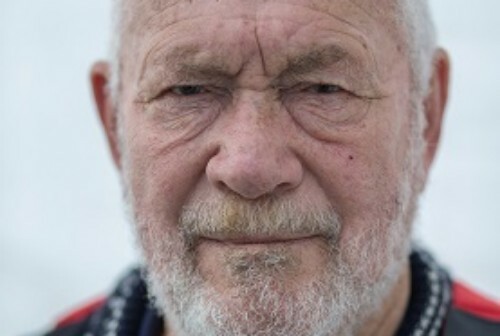 Sailing legend Sir Robin Knox-Johnston is appearing at Bridport Literary Festival. His insatiable appetite for life shines through in his new autobiography, Running Free, and he’ll be talking about his adventures to broadcaster Paul Heiney at Bridport Electric Palace on Saturday 10 November at 6.30pm. Knox-Johnston burst to fame when he became the first man ever to complete a single-handed, non-stop circumnavigation of the world on 22 April 1969. Fifty years on from that famous voyage, he reveals in Running Free the true, extraordinary story of his voyage through life and his second solo circumnavigation in 2007 – at the age of 68, making him the oldest to complete the feat. After leaving school, Knox-Johnston joined the Royal Naval Reserve before serving in the merchant navy and travelling the world. He spied for the British Government in the Gulf, worked in the South African dockyards, and built his boat Suhaili in Bombay, before sailing home to England. In June 1968, he set sail in Suhaili in the Sunday Times Golden Globe Race, and Running Free vividly brings to life that remarkable voyage, where he was the only person to finish the race, completing his journey on 22 April 1969 and thus entering the record books. Once back home, he set up a hugely successful business and continued his naval adventures, completing his second solo circumnavigation of the globe 11 years ago. Knox-Johnston will be signing copies of his new book at this event, which is a must for all sailing enthusiasts.